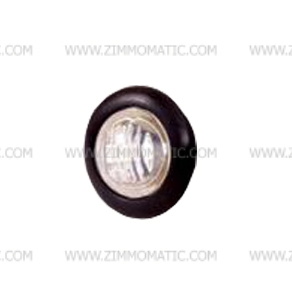 Shine brightly with the best out on the road with these clear lens, DOT-approved button lights. Wired with bullet plug ends, you can easily wire them into an existing system. 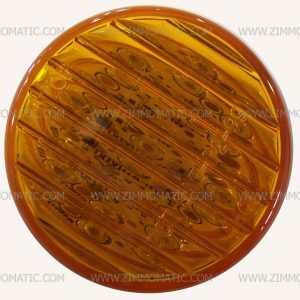 The rubber grommet to mount the light comes with the amber light kit. This item is prepackaged for retail. 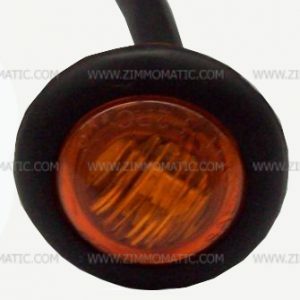 Add a distinguished glow to your truck and trailer with a row of 3/4 amber clear lens button light, Maxxima. 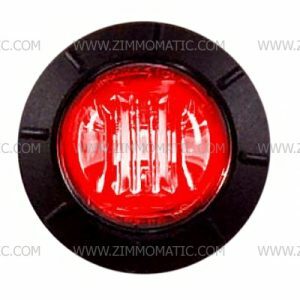 Three diodes in each light make them extremely bright for their small size; however, when turned off, they practically disappear, blending so well with the rest of your rig that you barely notice them. 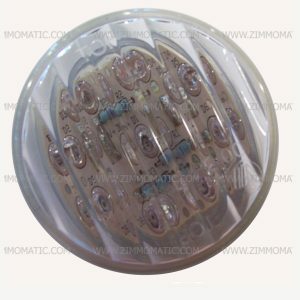 We stock the red clear lens Maxxima button light as well, which you can purchase by clicking this link, HWM09300RCL. 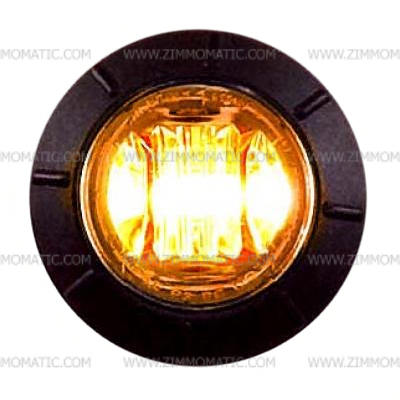 The stainless steel bezels for the red and amber Maxxima button lights are available on our website, too, HWM50112.